Formula 1 British GP 2018 Live Stream, Schedule, TV Channel & British Grand Prix 2018 Live Telecast: Lewis Hamilton and Mercedes Would Like to Be Back on The Track After Disasters Austrian GP. Austrian GP is proved to be disasters one of Mercedes, their both drivers who started from position 1 & 2 had to retire. This double retirement snatched a precious opportunity of earning maximum points, as both Bottas and Hamiton looking good to finish as Mercedes 1-2. Max Verstappen took full advantage of the opportunity presented and finished the race as a winner. It was like a dream come true for Max as drove to the podium in front of huge Dutch support in a Redbull ring. Max Verstappen’s win and Hamilton’s retirement has once again changed the complexion of the championship. Vettel is back in the lead, he has a lead of 1 point over defending champion Lewis Hamiton. However, the interesting thing is that after nine race every team has one similar number of races. 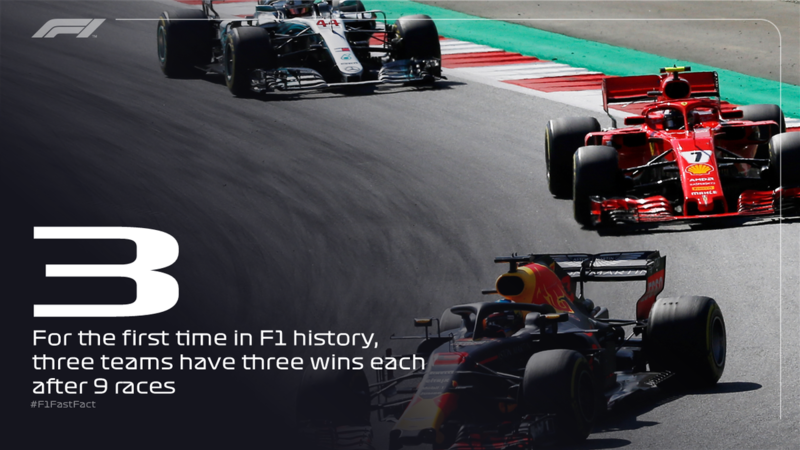 Mercedes, Ferrari and Redbull have won 3 race apiece. Silverstone where British GP is scheduled from July 6-July 08 is a happy hunting ground for Lewis Hamilton. So, Mercedes and Hamilton can hope for a turn of events after Austrian debacle. Sportsfiesta brings you complete details of Formula 1 British GP 2018 Live Stream, Schedule, TV Channel & British Grand Prix 2018 Live Telecast. 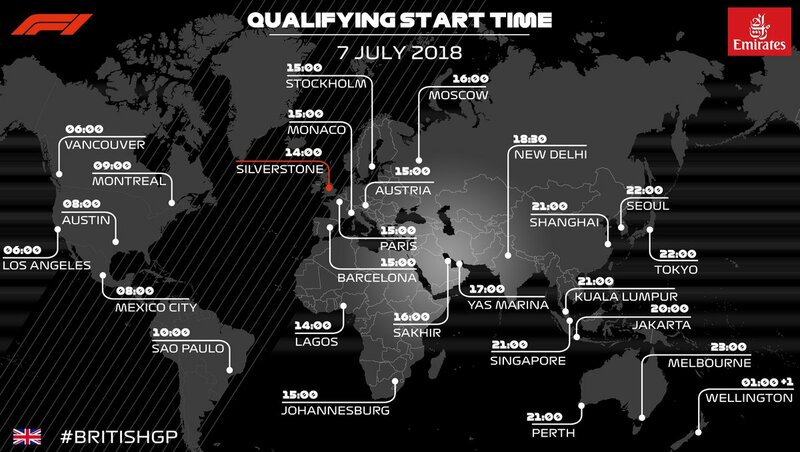 All timings are given in Local Silverstone BST time which is GMT+1. British GP 2018 Main Race Time Across the Globe. When is this British GP and where it is? This race is on 8th July 2018 that is on Sunday. This race will take place at Silverstone. How many laps are there? Who was the winner of British GP 2107? Lewis Hamilton was the winner. Who held the lap record? What type of track the British GP have? The British track is challenging as it is the former World War II aerodrome. This track fast so it requires quickness bravery and fitness. Russia FIFA World Cup 2018 Live Stream, Schedule & Live Telecast Information For Tuesday, July 3, 2018 Knockout Matches.